Administration of the Historical and Architectural Reserve "Icherisheher" invites you to join the Literary Contest. 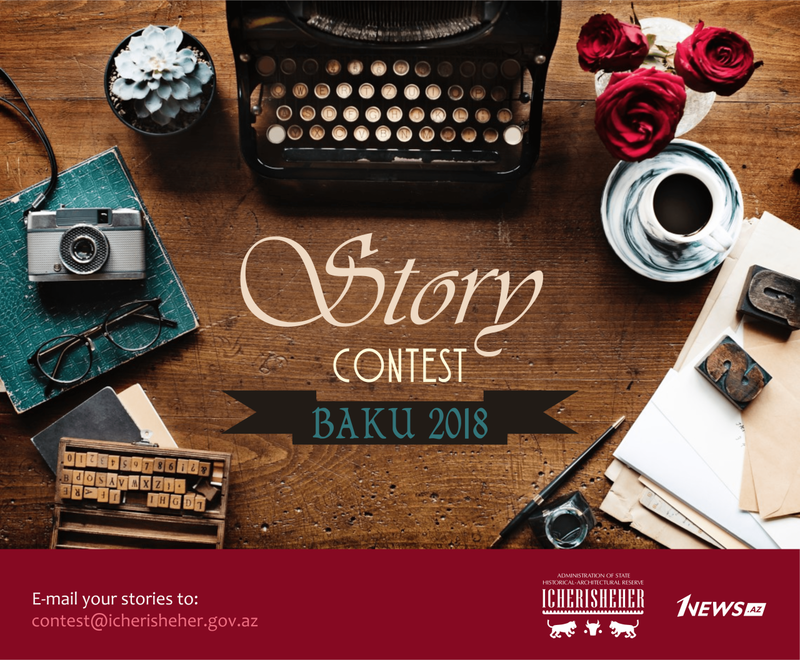 If you have literary skills and are ready to share your stories, don't miss a wonderful chance to be one of the authors of the future almanac about Baku. The aim of the contest is not only looking for talented authors, but also to create a collection of the stories about the most striking episodes from the life of the city. Baku is the city where every house and street keep dozens of secrets and exciting stories. In your texts, fiction may be intertwined with the real stories, and the city itself may act as the main character as well as scenery/background for the described events. The organizers considered it is important to liberate the authors from any genre restrictions and historical periods during which the narrative unfolds. The main condition is that any corner of Baku serves as an inspiration for your work, and the story itself is inspiring and positive. It does not matter whether your hero walks along the winding streets of Icherisheher or one of the streets of Baku villages. It does not matter whether the story is made up by you from the beginning till the end, told by your friends or drawn from the treasury of the family legends. The works are accepted in three languages (Azerbaijani, English and Russian), the maximum volume of the text is 42,000 characters with spaces (10 printed pages, about 2,500 words). The jury will select 20 finalists for the publication of the book, three of whom will get a money reward: a prize of 3,000 manats for the first place, and 1,500 manats for the second and third places. The jury includes People’s Writer of Azerbaijan Chingiz Abdullayev, the director of Baku Marionette Theatre Tarlan Gorchu, musicologist and expert on cultural policy Jahangir Selimkhanov, director of the British Council Elizabeth White, editor-in-chief of the portal 1News Rahman Hajiyev, film director Ismail Safarali, professor, doctor of arts Elchin Aliyev, People’s Artist of Azerbaijan, presenter Nargiz Jalilova, artc critic Asmer Abdullayeva, poet Nigar Hasanzadeh, poet, writer and translator Ulvia Akhundova, cultural projects initiator Asli Samadova.